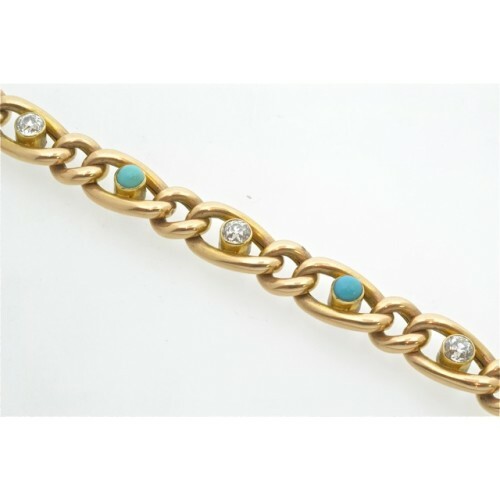 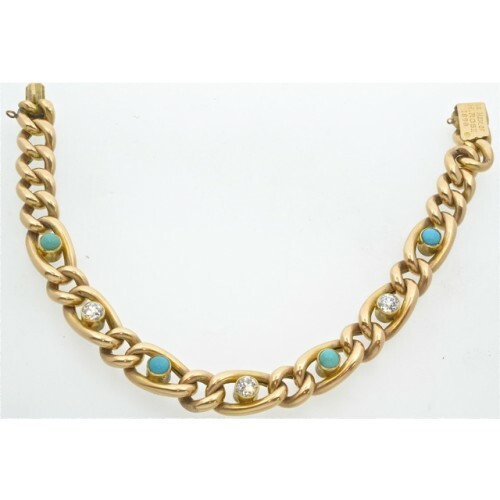 15ct diamond and turquoise set curb bracelet. 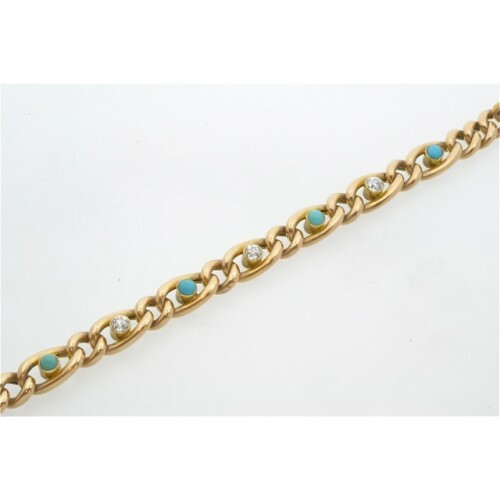 A beautiful Victorian 15ct gold curb linked bracelet set with three old cut diamonds and four cabochon turquoise stones, all in rub-over setting, with integrated snap. The diamonds having a total weight of 75 points. 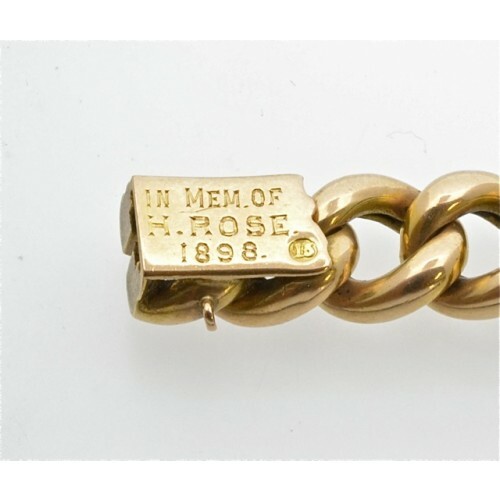 Weighing 23.4 grams.